Can you bill my insurance company for my service? If you have towing insurance, most insurance companies have a roadside company that handles those requests. In order for them to cover it with little or no out of pocket cost to you, you must go through that roadside number. In the case of some central Illinois State Farm agents, we are able to bill the agent direct. Please contact our office to see if your State Farm agent participates in this program. Insurance companies will not pay for towing, recovery and storage costs for vehicles that are impounded because of an arrest or being illegally parked. Yes. We accept Visa, MasterCard, and Discover. The card and cardholder must be present, or you can pay online using our secure payment portal by clicking here. The check must be pre-printed with name, address, phone number. We also require a drivers license number and phone number. We do not accept starter or counter checks (no pre-printed name). Authorization from TeleCheck. If they do not issue authorization, we are unable to accept the check and an alternate form of payment will be required. We do not accept checks on impounded vehicles. We do not accept third-party checks. We do not give cash back on any checks, including instant-money checks such as Comchek and EFS. No, we do not sell parts. There are several salvage yards in town that would be able to assist you. My vehicle has been in an accident. What now? Contact your insurance company or agent and tell them where your vehicle is located. They will normally send an adjuster out to determine whether your vehicle is repairable or is totaled. If your vehicle is repairable, contact our office to arrange to have your vehicle towed to a body shop of your choice. If your vehicle is totaled, the insurance company will normally arrange for a salvage yard to pick up the vehicle. While the general procedure is the same for most insurance companies, please contact your agent for the specific polices of your insurance company. Towing is not considered a liability of the accident, and is therefore not covered by liability only insurance. 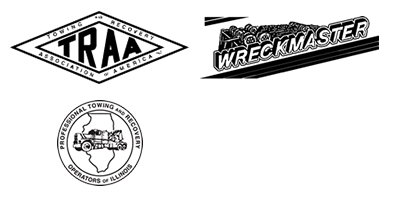 You are responsible for all towing, recovery and storage charges for your vehicle. If your vehicle is repairable, we are able to include the original towing, recovery and storage charges onto the bill for towing the vehicle to a repair shop and you can settle it with the body when you pick up your vehicle after it is repaired. You can contact a salvage company about buying your totaled vehicle. They do require the title to the vehicle, but most vehicles have a salvage value. You can pay the original towing and recovery bill, plus 7 days of storage to us and we will accept the title for any additional storage charges, and not charge you processing and disposal costs. We do not “part out” vehicles, so your vehicle has no salvage value to us. You can pick up the vehicle and pay all towing, recovery and storage charges. Do you have requirements for accessing your impound yard? I was told I had to pay a “Gate Fee” or a “Late Release Fee”. What is that? Gate Fee: A “Gate Fee” is a fee charged every time someone is requesting access to the impound yard in regards to that vehicle, including when it is picked up and removed. A Gate Fee is charged regardless of the time the access is requested. Late Release Fee: A “Late Release Fee” is charged when you are requesting access to the impound yard in regards to that vehicle after business hours, including when it is picked up and removed. This fee is also charged when you are removing personal items from the vehicle after hours. It’s not my car, but my personal property is inside. Can I get it? The vehicle does not have a hold on it by a police department that prohibits us from allowing anyone access to the vehicle (ie. it’s being held for seizure). The registered owner of the vehicle is present. In the event the registered owner is not present (ie. they are out of state, incarcerated, etc), we will accept a notarized letter from them stating that you (your drivers license/state ID number must be listed) have their permission to remove your property from their vehicle. The letter must state specifically what they are allowing you to remove. If the items are not the ones allowed by the law (food, medicine, perishable property, operator’s license (drivers license), cash, credit cards or checks/checkbooks, wallets, purses, property containing any operator’s licenses or other identifying documents or materials), then the original tow bill plus seven days of storage must be paid. If you are wanting to pick the items up outside of 8am-5pm Monday through Friday (excluding holidays), a late release fee will apply. My car is impounded, do you have payment plans? The bill must be larger than $500. The vehicle is not allowed to be removed from our impound lot until the final payment is made. The vehicle must be eligible for release. We do not offer payment plans on any vehicle that has been ordered held by a government official (ie: police department, fire department, US Marshal, etc). This includes vehicles that have been seized. 20% of the entire bill is required as a down payment. Your weekly payment is due every Friday, until paid in full. Your bi-weekly payment is due on the 2nd and 4th Friday from the down payment. Once the down payment is received, storage will be stopped. Providing that the scheduled payments are made, you will incur no additional storage. However, if one payment is missed, all waived storage will be added and we are unable to stop it again. It will incur until the vehicle is picked up. There is no penalty for paying off the balance early. Payment may be made by cash, Visa, MasterCard or Discover. The card and cardholder must be present. No checks are accepted. My vehicle is broken down. Can I work on it in your impound lot? No, our insurance requirements do not allow anyone to work on a vehicle on our property, including the removal of parts. You would need to make arrangements to have the vehicle removed from our property. You have my car, but I want my personal property. What do I do? Per Illinois Compiled Statutes 625 ILCS 5/4-203 (from Ch. 95 1/2, par. 4-203), the contents of any vehicle that is subject to a lien under this subsection (g) shall likewise be subject to that lien. All other contents of the vehicle will be held until the bill against the vehicle is settled. This includes radios, speakers, clothing, books, tools, etc. Cars towed by BPD as the result of an arrest or being illegally parked requires a release from the police department. You must go, IN PERSON, to the police department to obtain this release. They will give you a form to bring to us to claim your vehicle. The towing fee is separate from this release fee. Someone with a valid drivers license. The amount of the towing/storage bill. We DO NOT accept personal or company checks for impounded vehicles. The release form from the Bloomington Police Department, if required. Office hours are 8am-5pm Monday-Friday, excluding holidays. Vehicles are able to be claimed at other times for an additional fee. DUI Arrests: If your vehicle was towed as a result of an arrest for Driving Under the Influence (either alcohol or drugs), the State of Illinois imposes a MANDATORY 12 hour hold for the first offense (time extends for subsequent offenses). We are unable to release the vehicle before this hold expires, even if you meet the rest of the release requirements. Cars towed by CCPD as the result of an arrest require a release from the police department. You must go, IN PERSON, to the police department to obtain this release. They will give you a form to bring to us to claim your vehicle. The towing fee is separate from this release fee. The release form from the Creve Coeur Police Department, if required. Cars towed by EPPD as the result of an arrest require a release from the police department. You must go, IN PERSON, to the police department to obtain this release. They will give you a form to bring to us to claim your vehicle. The towing fee is separate from this release fee. The release form from the East Peoria Police Department, if required. Cars towed by FPPD as the result of an arrest require a release from the police department. You must go, IN PERSON, to the police department to obtain this release. They will give you a form to bring to us to claim your vehicle. The towing fee is separate from this release fee. The release form from the Fondulac Park Police Department, if required. Cars towed by MHPD as the result of an arrest require a release from the police department. You must go, IN PERSON, to the police department to obtain this release. They will give you a form to bring to us to claim your vehicle. The towing fee is separate from this release fee. The release form from the Marquette Meights Police Department, if required. Cars towed by NPD as the result of an arrest require a release from the police department. You must go, IN PERSON, to the police department to obtain this release. They will give you a form to bring to us to claim your vehicle. The towing fee is separate from this release fee. The release form from the Normal Police Department, if required. Cars towed by NPPD as the result of an arrest require a release from the police department. You must go, IN PERSON, to the police department to obtain this release. They will give you a form to bring to us to claim your vehicle. The towing fee is separate from this release fee. The release form from the North Pekin Police Department, if required. Office hours are 8am-5pm Monday-Saturday, excluding holidays. Vehicles are able to be claimed at other times for an additional fee. Office hours are 8am-6pm Monday-Saturday, excluding holidays. Vehicles are able to be claimed at other times for an additional fee. Cars towed by PPD as the result of an arrest require a release from the police department. You must go, IN PERSON, to the police department to obtain this release. They will give you a form to bring to us to claim your vehicle. The towing fee is separate from this release fee. The release form from the Pekin Police Department, if required. Cars towed by PHPD as the result of an arrest require a release from the police department. You must go, IN PERSON, to the police department to obtain this release. They will give you a form to bring to us to claim your vehicle. The towing fee is separate from this release fee. The release form from the Peoria Heights Police Department, if required. Cars towed by TCSD as the result of an arrest require a release from the police department. You must go, IN PERSON, to the police department to obtain this release. They will give you a form to bring to us to claim your vehicle. The towing fee is separate from this release fee. The release form from the Tazewell County Sheriff’s Department, if required. Cars towed by WPD as the result of an arrest require a release from the police department. You must go, IN PERSON, to the police department to obtain this release. They will give you a form to bring to us to claim your vehicle. The towing fee is separate from this release fee. The release form from the Washington Police Department, if required. Cars towed by WCSD as the result of an arrest require a release from the police department. You must go, IN PERSON, to the police department to obtain this release. They will give you a form to bring to us to claim your vehicle. The towing fee is separate from this release fee. The release form from the Woodford County Sheriff’s Department, if required. The information on this page is subject to change, and may not be the most up-to-date information available. Please contact Joe’s Towing & Recovery directly to verify any information, or with any questions you may have.